We can assist you in designing and creating your perfect outdoor space using brick pavers in Greenville, Simpsonville, SC. Brick Pavers in Greenville – When you are looking for an excellent long-term option for your outdoor living space in Greenville, Simpsonville, SC, you may find that brick pavers offer a number of solutions. There are many options to choose from when you are building an outdoor patio or designated outdoor space, but brick pavers are one versatile option you will love from year to year. At Greenville Pavers, we can assist you in designing and creating your perfect outdoor space using brick pavers, and here are a few reasons why they should be at the top of your list. Durable – Brick pavers are incredibly durable and are designed to withstand the test of time. From walkways to driveways, brick pavers can withstand general or heavy traffic and will hold their shape and formation. Low Maintenance – Unlike some other paver options, brick pavers are very low maintenance. Known for their long life, many times brick pavers can simply be washed with water and brush, if cleaning is needed at all. If a paver comers out of place or breaks, it can simply be lifted and replaced. Eco-Friendly – Rather than choosing an option that has been manufactured, brick pavers are made from natural clay. Maintaining their color and finish, brick pavers are the perfect environmentally friendly option for any outdoor space. When you need a company with a specialty in designing luxurious outdoor living spaces, you have come to the right place at Greenville Pavers. Our company’s success is built on service, credibility and trust, and our team has over 75 years of combined experience in the residential and commercial construction field. For any paving or outdoor living project, we always do what we say we will do! 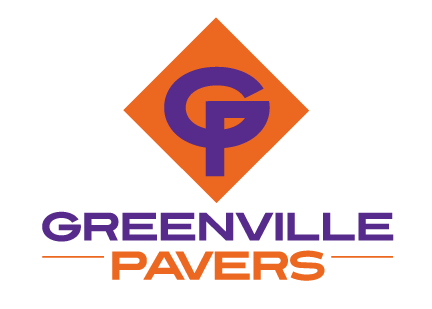 We serve Greenville, Simpsonville, Spartanburg & Anderson, SC for all your outdoor living and paving needs. Contact us today to get started!